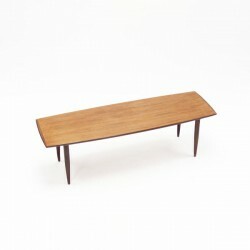 Nice vintage coffee table made in teak. The top has a nice almost oval shape. 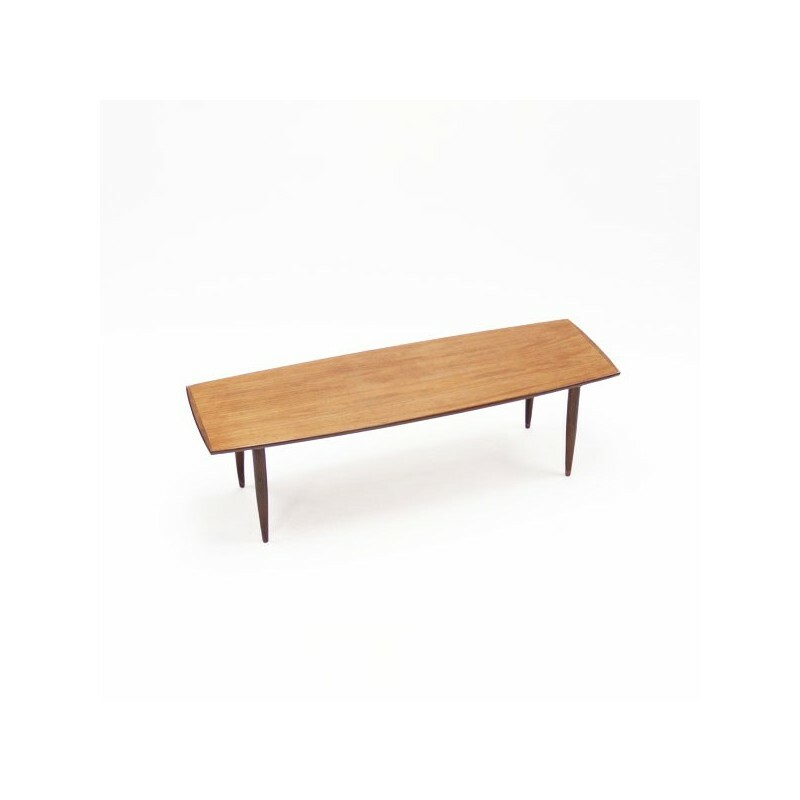 The design of of the table has clear scandinavian influence. The condition of the table is good given it's age, see detailed pictures. The dimension is 150 cm L/ 48,5 cm W/ 44,5 cm H.